Consolidate access at the desk, at the rack or across the entire data center with a field-proven line of Avocent® analog and digital KVM switches. Avocent has been at the forefront of KVM development from the start, saving space and improving staff efficiency in leading companies across the globe. Simplify local rack access for users with analog KVM technology. A solid platform for managing larger groups of equipment as well as enabling advanced features such as matrix switching, virtual media and smart card/CAC authentication. Built for small datacenters and remote/branch office environments, this analog KVM switch is used to control and access your servers. AutoView KVM switches can be upgraded to enable remote management with the purchase of a Remote Access Key. Remote Access Option – With the purchase of a Remote Access Key, the AutoView switch can be upgraded to provide remote KVM over IP management capability. Virtual Media Support – Share a directly connected USB storage device to all servers connected to a KVM switch (a DSAVIQ-USB2 module is required for virtual media support). Common Access Card (CAC)/Smart Card Support – Enhances security to meet US government regulation HSPD12 which is required for ensuring secure login to government systems (an AVRIQ-VMC module is required for CAC support). Server/Computer Access – Manage PS/2, USB, Sun or serial devices. Flash Upgrade – Fast and easy upgrades to firmware switches and server interface modules. Easy to Use – Configure your system name and select your servers from the convenient OSD. Standards-Based – Uses standard CAT-5 cables. OS Independent – BIOS-level access ensures connection to the attached servers regardless of the health or type of operating system. Modules MPUIQ-VMCHS Server interface module for VGA, USB keyboard, mouse supporting virtual media, CAC and USB2.0. Modules MPUIQ-VMCHD Server Interface Module for HDMI video, USB keyboard/mouse supporting virtual media, CAC and USB2.0. Modules MPUIQ-VMCDV Server Interface Module for DVI video, USB keyboard/mouse supporting virtaual media, CAC and USB2.0. Modules MPUIQ-VMCDP Server Interface Module for DisplayPort video, USB keyboard/mouse supporting virtual media, CAC and USB2.0. **Extended Maintenance Plans Available on all models, contact us for details. 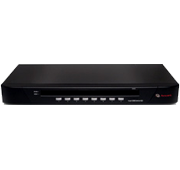 The cost-efficient Avocent SwitchView analog KVM switch provides PS/2 or USB connectivity for one user and 4, 8 or 16 target devices. This single-user switch has an on-screen display (OSD) and supports a 2048×1536 high video resolution that is ideal for graphical applications. With a 1U high design, the compact Avocent SwitchView™ switch does not compete for valuable rack space in SMB server rooms. Plus, this KVM rack solution is flash upgradeable for fast and easy updates. The switch has a password protection feature which gives you the benefit of added security to your business-critical servers. OSD – Simple control through an on-screen menu. Password Protection – Secure access is password protected. Flash Upgradeable – Convenient upgrades mean that the product never goes out of date. Hotkey Switching – Switch via keyboard sequence. Daisy Chain Auto-Initialization – Connect multiple units together without complicated configuration. Video Resolution – 2048×1536 video resolution supports the most demanding server room applications. 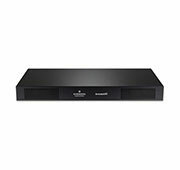 1U Height – Fits perfectly into a standard rack; does not use a large amount of valuable rack space. Combo Cables – Uses a three-in-one KVM cable that supports USB or PS/2 target devices. Programmable Auto-Scan – Customize scanning times between attached systems. USB and PS/2 System/Target and User Support – Supports PS/2 or USB peripherals to control a mix of PS/2 or USB user systems. Cables CBL0029 Cable PS2/USB for Avocent SwitchView 1000 switch - 6 ft.
Cables CBL0030 Cable PS2/USB for Avocent SwitchView 1000 switch - 9 ft.
Cables CBL0031 Cable PS2/USB for Avocent SwitchView 1000 switch - 15 ft.
Matrix Switching for Any Environment — The Avocent AMX Analog High Performance KVM switch provides real-time user access to all major server platforms and serial devices. Full Bandwidth and Real-Time Access to Servers – Facilitates access to multiple servers and applications where full-bandwidth video quality is critical. Easy-to-Use OSCAR Graphical User Interface – No training required for immediate user interaction with target computers. 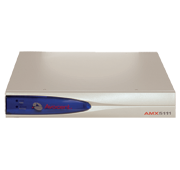 Specialized Application Support – The Avocent AMX 5010 switch is a proven choice for test labs, demo labs, design and broadcast environments; Avocent AMX switches are compatible with all major broadcast devices including Pinnacle Deko, Harris Device Manager and Raid arrays. Automatic Compensation for Any Video Losses Induced by Cabling – Simplifies the installation of equipment and guarantees highest-quality video for each user without any user intervention. Dual-Matrix Support – Connects user station to two Avocent AMX KVM switches for switch redundancy with automatic failover for mission-critical reliability. Out-of-Band Access to Computers – Users can access all cascaded computers without the need to access the corporate network. End-to-End UTP Cable, Including CAT-5 and 5e – Eliminates bulky cabling connections and delivers real-time, high bandwidth video up to 1,000 feet from the server. Consolidates the Local Ports of KVM over IP Products – Users have back-up access to servers independent of the IP network. Consolidates Access to Existing Analog KVM Switches – Users can integrate legacy KVM switches into their Matrix KVM switch. Avocent AMWorks Java-Based System Administration Tool – Centralized management is easier with this versatile software. AMIQ Server Interface Module – Built-in memory eases configuration and installation by assigning and retaining unique server identification codes for each attached server. Includes SNMP Traps – Users can set up SNMP traps in the Avocent AMX switch for report alarms to an external logging destination. Event Logs – Avocent AMWorks software maintains a record of all user logins and switching activity. Scalable Architecture – Avocent AMX switches easily accommodate additional servers and users in growing network infrastructures. Integration with Other LDAP Services for Authentication – Users can utilize a single LDAP database for authentication, minimizing the administration overhead of their existing network authentication process.